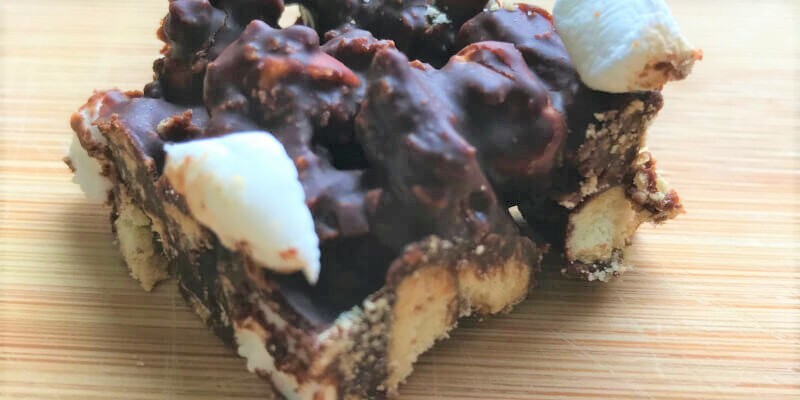 These sumptuous Vegan Rocky Road Bites are a real treats for kids and grown-ups alike and the recipe can be easily adapted to suit your own dietary needs or tastes. 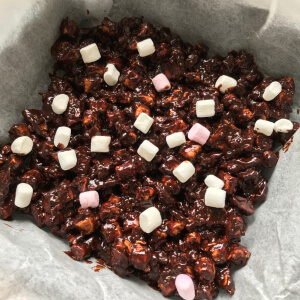 Line an 18 cm square take tin with baking parchment, leaving some paper hanging over the sides to make it easier to lift the Vegan Rocky Road Bites out when set. Put the vegan spread and dark chocolate into a microwave-safe bowl and pop into the microwave for approximately 1 minute, or until melted. Remove from microwave and stir until completely smooth, then set aside for a few minutes. 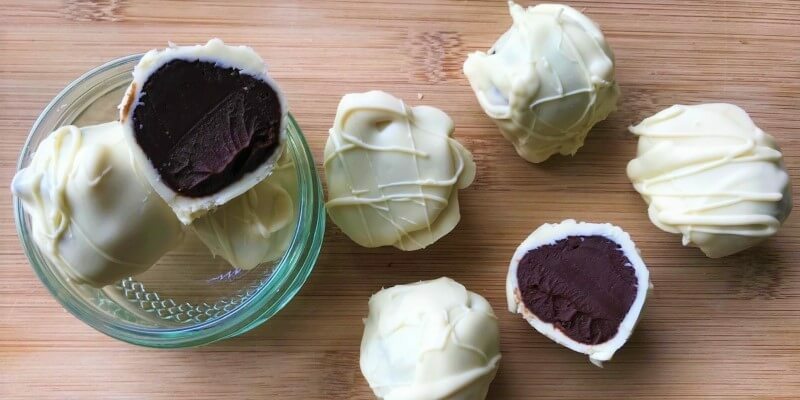 Reserve a few of the marshmallows for decoration then tip these into the chocolate mixture along with the crush biscuits, and stir well to combine. Spoon the mixture into the prepared tin and smooth the top until evenly spread. Scatter the remaining marshmallows on top and chill in the fridge for approximately 1 hour or until set. Lift the Vegan Rocky Road Bites out of the tin and remove the baking parchment. 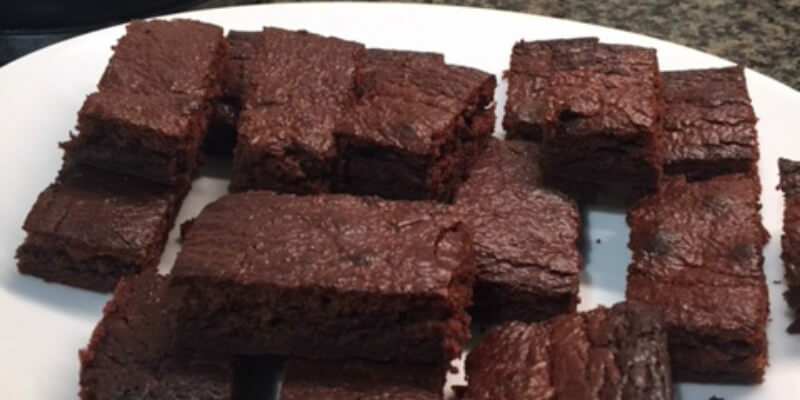 Cut into 20 equal pieces and enjoy!